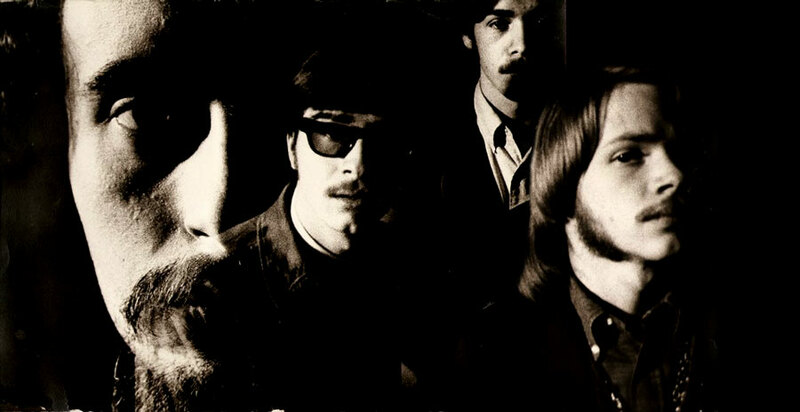 In Black and White is the first psychedelic band I had ever encountered first hand, and I know I was eager to get them into my studio somehow. The band consisted of Jon Coffin, Hal Pierce on guitar, Tim Hamilton on bass, and Bob the drumma. Jon lived just up the street from my studio at 7701 Mission Road in Prairie Village, KS. I don’t know how it got arranged, we ended up in my basement one day near Christmas 1967 and recorded three “sides”. 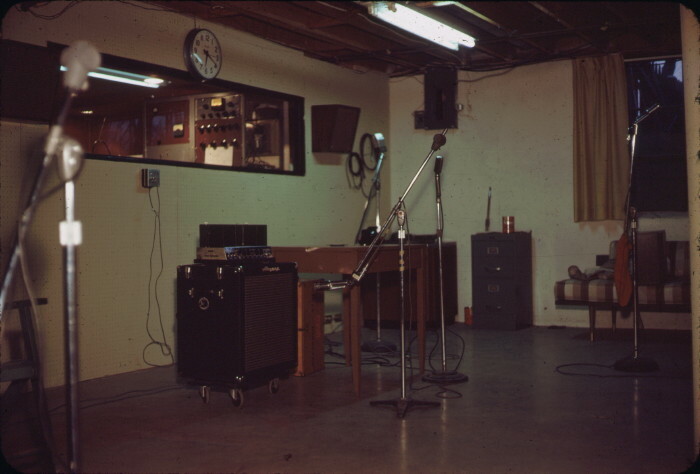 My studio, AUDIO LAB, was a construction that my wonderful dad, R. G. Barncard, put many hours designing and building the structure in our basement. My contribution was designing and building many audio devices for the room that I had no way of buying myself, the rest were scraped together from the used market over the years. I realize today that my dad got as much a kick out of the studio as I did, and an incredible amount of encouragement and enthusiasm from him made it possible. I will cover the full story of the AUDIO LAB studio in another post. 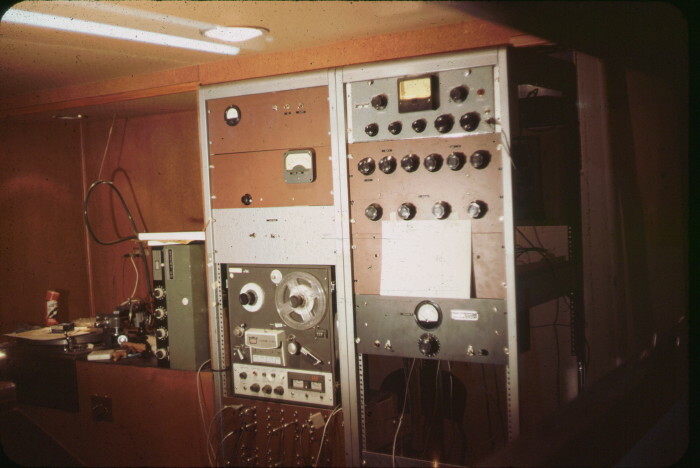 In 1967, the holy grail of recording for me would be a tape machine with more than two tracks and capable of sel-sync ( the ability to play tracks while recording on others). One technique was to thicken the vocal by ‘doubling’ – singing ‘exactly’ the same words and Melody the same way twice. The minor variations in pitch seem to obfuscate each other en masse, and the overall effect is sonorous and pleasing – similar to ‘phasing’. Since I didn’t have a multi-track machine, the ‘next best thing’ was to do transfers back and forth between two tape machines, adding a fresh track on each pass, while mixing in the older ones. This is known as the ‘Les Paul’ method, and every record pass you make will have to be a ‘keeper’. Also because there is a little (or a lot) of loss and noise every pass, the earlier passes start to lose clarity. The amount of loss is directly proportional to the accuracy of the machines, and the whole thing gains some kind of odd ‘aura’ often heard in other low budget projects (and some high budget ones of the time, too ). Today I don’t remember much about the session, except it was fun, and at the end we smoked a bowl, which was great except my parents were in the house upstairs, and I learned firsthand about how smoke travels. I must have cut a disc for Jon, that was the best way to get the music to people – most folks didn’t have tape recorders. and now, below, are the original recordings, made on December 23, 1967. Love it! Sounds great Steve. Thanks for posting. Once again Stephen, I thoroughly enjoyed reading about *the good old days* and how it came to be that you’re, well…who and what you are today! I wrote you years ago through the LeeShore about the American Beauty sessions after seeing the PBS special. Thanks again for sharing these great stories from your perspective…I’m by no means an expert on recording, but I can follow most of what you’re talking about and I definitely can feel how much you have always enjoyed your work..a luxury few people can enjoy anymore. You’re a lucky man! Thanks for posting this, Steve — I’m so glad we’re friends and am also so grateful for the influence you have had in the lives of the musicians we both love. Always, S.
Thank you Stephen, It was memorable for me, in that I recall certain moments during the recording process. I do know that if was very much our good fortune that you recorded us that day. compositions. I’ll take real feeling over slickness any day! You really should write a book Stephen, I would buy it. Thanks for putting this blog together, loving it. BTW, track one is labeled “Hey Joe”, isn’t it “Morning Dew”. yeah I screwed up. Hey Joe was done by the Mystic No. National Bank and Glenn Walters, elsewhere on this site. I am a KC native and record collector. I love your site and was wondering if the In Black And White sides were ever released? If not, I’m sure there are some reissue labels that would love to put them out! Jon and his wife have been in contact with me for years. In fact, they may have found each other due to a photo of her from 1966 that I posted here. Just call me cupid. We hung out here a bit in California a couple of years ago.